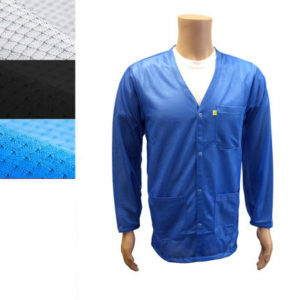 Made with heavyweight 5049 fabric – made with more cotton than traditional ESD jackets. 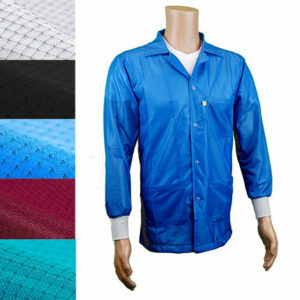 HEAVYWEIGHT ESD FABRIC: made with more cotton than traditional ESD jackets. 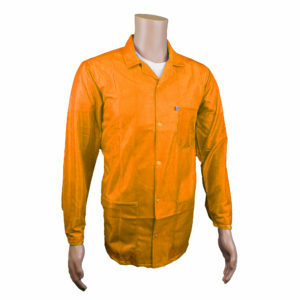 A blend of 32% Cotton, 66% Polyester and 2% Carbon. 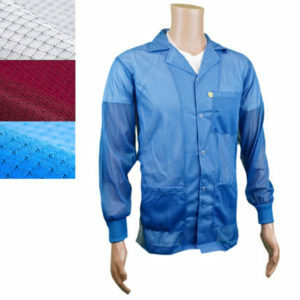 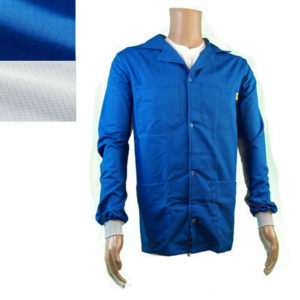 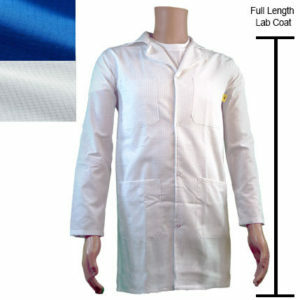 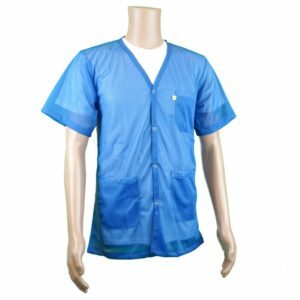 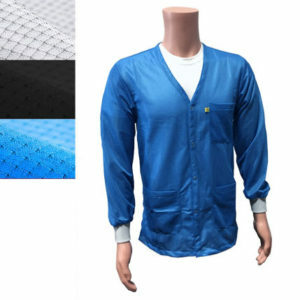 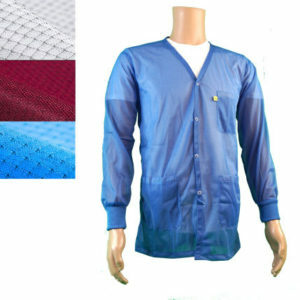 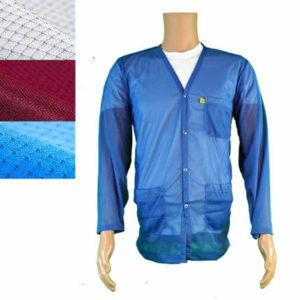 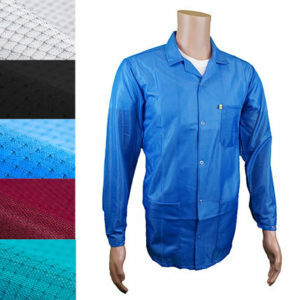 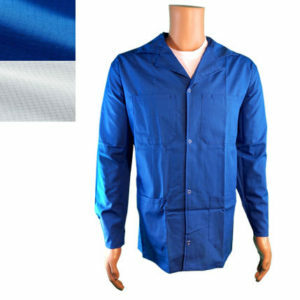 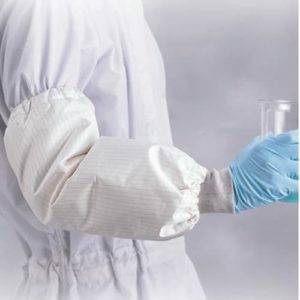 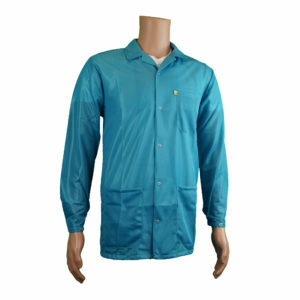 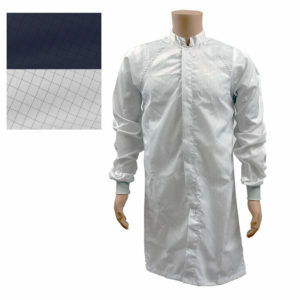 MORE COMFORTABLE: ESD Lab Coat more comfortable to wear and warmer than polyester ESD smocks. 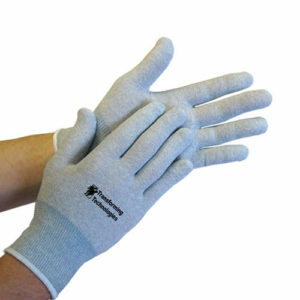 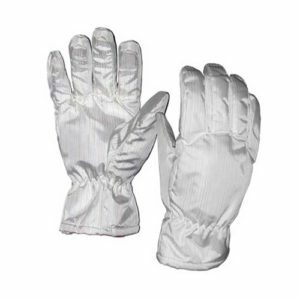 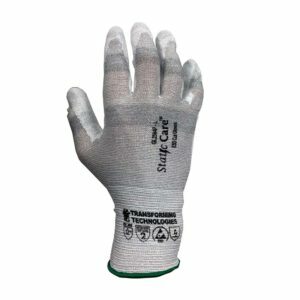 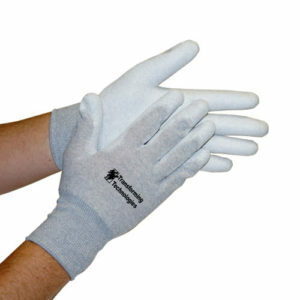 Fingertip Coat: Micro-Foamed Polyurethane Coating. 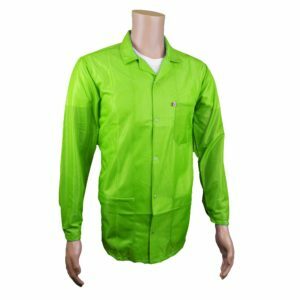 Palm Coat: Micro-Foamed Polyurethane Coating. 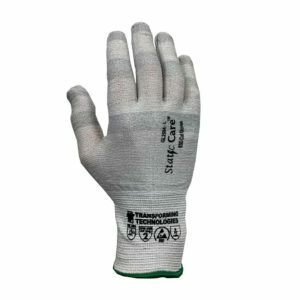 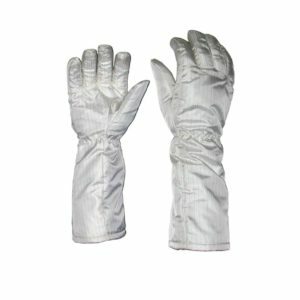 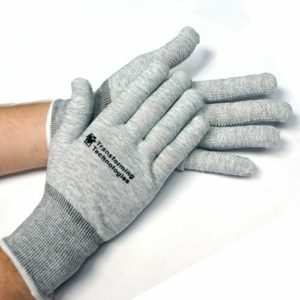 Seamless nylon and conductive carbon nylon knit. Resistance: 10^6 – 10^8 per ANSI/ESD SP15.1. 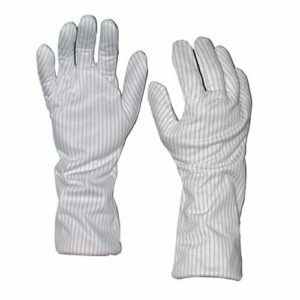 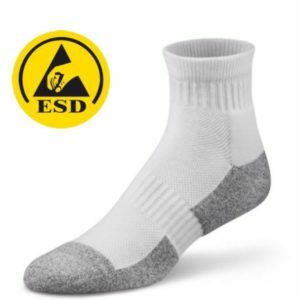 ESD socks ensure electrical contact between the body and ESD footwear. 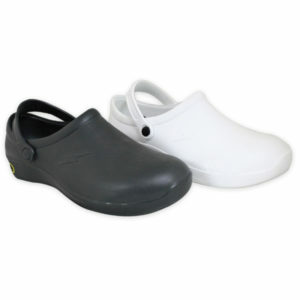 Toe and heels of the socks are reinforced with conductive yarn. 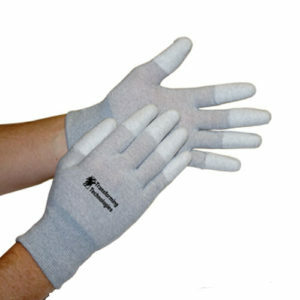 Made with polyester, spandex and conductive yarn.